Rizoma mirrors on my Bassa w/Pictures. Sweet! Anyone wanting soom very cool looking Italian mirrors for your Guzzi may want to check out Rizoma at www.rizoma.com. I installed a set of the black Invidia mirrors on my Bassa and they really look great and have very little vibration. The mirror surface is a bit on the small side but they work fine for me. If the mirror surface was convex instead of flat, they'd be even better. I think the mirrors were $84.95 each. Scott at Azione Moto is a real nice guy to work with. Be sure to specify if you need right or left hand thread as well as blue tinted glass or no tint. Mine have no tint but apparently most of Europe uses blue tinted glass. These Italian mirrors are very well made. Being Itailan of course adds coolness points. 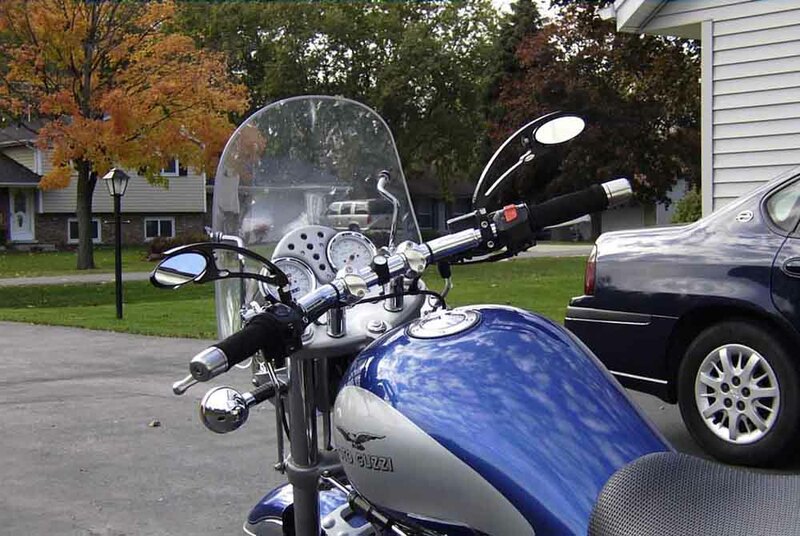 The mirrors are also available in a wide variety of colors for that extra custom look. 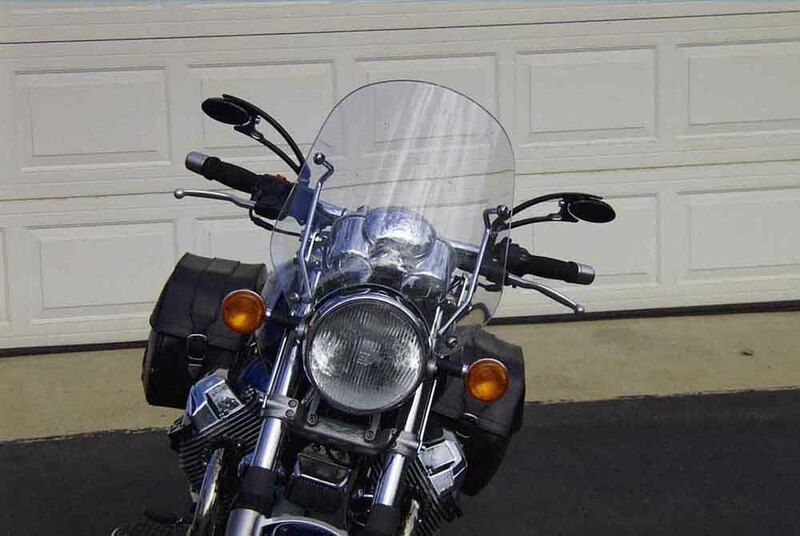 I have Centauro handlebars/risers on my Bassa and these mirrors work really well for me.